There are very few things that can be done in the morning pre-coffee. I refuse to talk to family members, can’t feed the cats and don’t start my daily scroll through the Agenda newsletter without the caffeinated black magic coursing through my veins. So on Thursday, December 3, it was totally, completely out of character for me to flip open my laptop once my alarm went off. After a few clicks here and there, and a few shouts to AJ downstairs to “bring me some coffee!” a happy confirmation popped up on my screen with two tickets to Queen City Brewers Festival. Priorities. Don’t judge me for prioritizing a beer event over my morning cup of coffee. In 2013, tickets sold out in less than three hours, and in 2014, they were sold out at least a month before the event (that was the year I invited three friends to visit for the weekend and like major rookies we put off buying tickets right away, which left us scrounging on Twitter and failing miserably at beer trivia to try to win some extra tickets. Lucky for us, everything worked out in the end). Not one to take chances, I’ve since been prompt in buying my tickets for the annual fundraising event, which highlights Charlotte beer and raises money for a good cause. 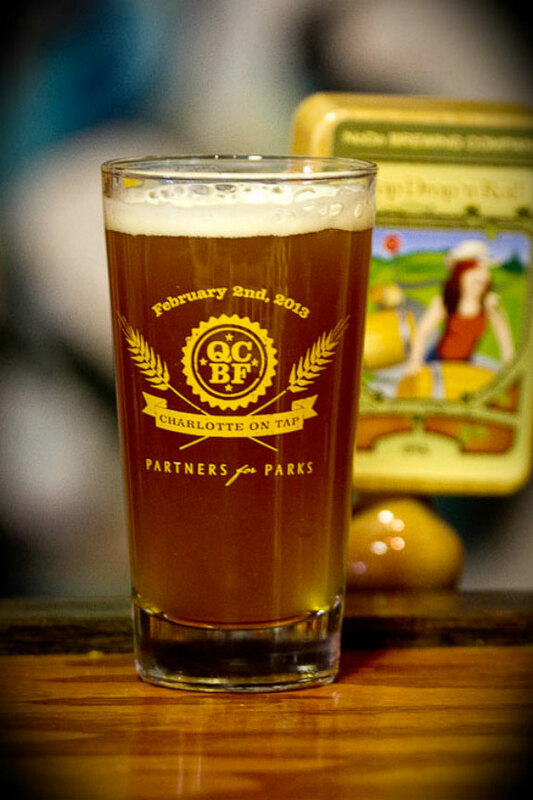 Queen City Brewers Festival is a recipe for a good time: 24 Charlotte-area breweries, brewpubs, bottle shops and craft beer centered restaurants come together and offer unlimited tastes to guests for two, three-hour tasting sessions. 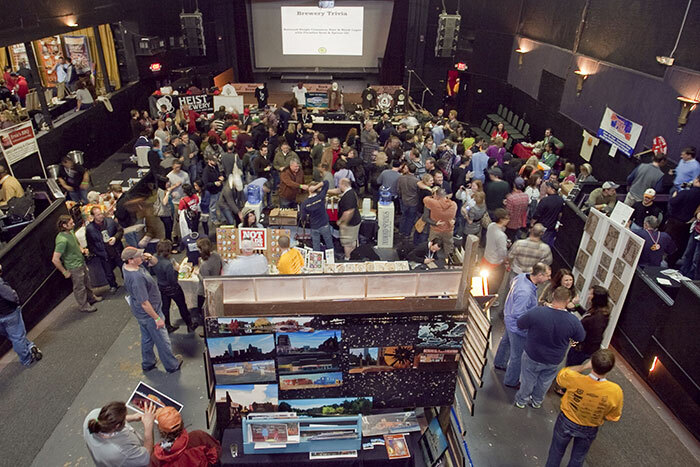 Yes, that means your ticket will get you unlimited beer samples from local Charlotte breweries, and also free snacks, live music, interactive games, prizes and a whole lot more. 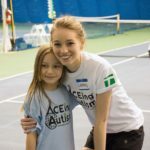 Queen City Beer Festival doesn’t only highlight and celebrate Charlotte’s booming beer scene; it has become the awareness and fundraising platform for ACEing Austim Charlotte, a nonprofit organization that uses tennis to improve the lives of children affected by autism spectrum disorders. Nils Weldy, Charlotte transplant, beer festival lover and Queen City Brewers Festival creator and event organizer, moved to Charlotte from Boston in 2007 and “missed the beer tasting festivals that were held regularly during the dreary winter months.” Weldy partnered with the Neighborhood Theater for QCBF’s inaugural festival in 2012; which featured Charlotte’s eight emerging breweries. 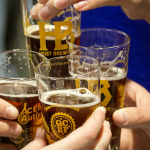 Weldy’s friend, ACEing Autism President and Founder Richard Spurling, was a 2012 event volunteer, and was amazed that craft beer could bring so many people together for a worthy cause. 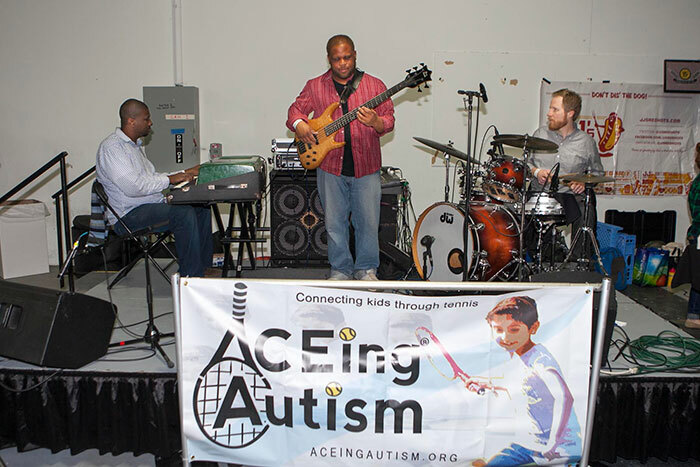 Spurling’s visit to Charlotte wasn’t just to volunteer at a craft beer festival (although, I think that’s a great reason to visit), and on that trip he asked Weldy to start an ACEing Autism program in Charlotte. 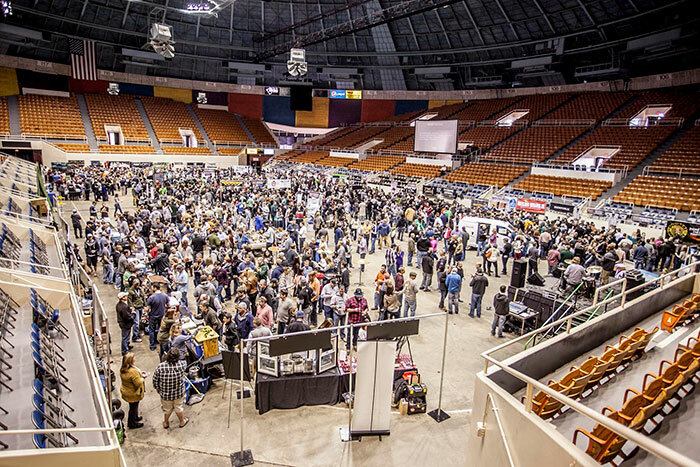 Queen City Brewers Festival “has proven to be an invaluable tool to achieve a variety of goals” for ACEing Autism, including generating awareness of ACEing Autism programming in Charlotte and nationally, filling registration openings for spring and fall programs, attracting volunteers to work with participants, developing new sponsorship candidates to help keep registration costs low, stewarding relationships with individual donors, and discovering new Program Director candidates to expand programming in Charlotte and the surrounding region. Weldy says it’s “really rewarding to see our patrons engage with our ACEing Autism staff and leave the event asking how they can get involved with the ACEing Autism program.” In addition, all proceeds from Queen City Brewers Festival go to ACEing Autism;with a sell-out crowd of 1,800 people last year, the event raised $25,000 for the organization. I’ll definitely drink to that. On Saturday, February 6, I hope to see you at The Fillmore while we celebrate and sample Charlotte beer while giving back to a great cause. Save yourself some embarrassment at Birdsong’s beer trivia and buy your tickets in advance here (650 tickets will be sold for each tasting session. At the time of writing, there are about 200 tickets still available for the afternoon session and fewer than 300 available for the evening session). Public defender, food blogger (offtheeatenpathblog.com), football fanatic, lover of craft beer, red wine, cheese, and other delicious things. I know all of the lyrics to Love Shack, and am on a quest to find the best pizza in Charlotte.